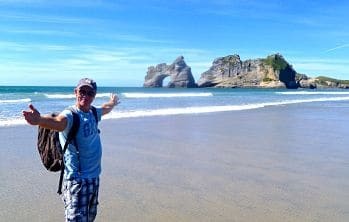 Jerry Bridge – Wharariki beach, (‘Fairwell Spit’ Golden Bay region) one my all time favourite beaches in the world! For many travellers, New Zealand represents the ultimate getaway; an unmissable combination of natural beauty, fabulous beaches and compelling cities and towns. You may even recognise some of it from the Chronicles of Narnia as well as doubling as Middle Earth in The Lord of the Rings and more recently the Hobbit. Whilst New Zealand is packed with unforgettable experiences, it struck me recently that some of my most valuable personal possessions are those which no amount of money could replace. I’m talking about those magical times, places and once-in-a-lifetime experiences which have become cherished memories. 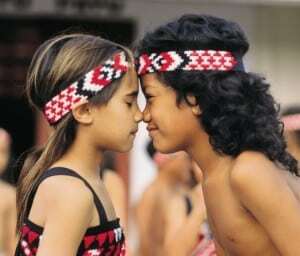 New Zealand is a destination which provides these priceless moments in abundance. 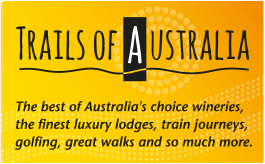 Take two islands inhabited by friendly and welcoming folk and boasting great food and wine as well as some of the most spectacular scenery on earth and you have the recipe for a holiday you will treasure for the rest of your life. Whatever your budget or time restraints, World Travel With Bridge offers you ‘no-nonsense’ travel advice covering all aspects of your proposed holiday to New Zealand. 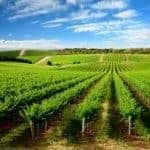 You can also check out our numerous travel blogs/articles advising you on the best of New Zealand’s stunning scenery, small group private touring, helicopter excursions, vineyards, restaurants, coffee venues, outdoor adventure, self drives, luxury lodges and spas. Additionally, if you need help with airfare routings, stopover options, vehicle hire and accommodation, contact us today. Jerry has travelled all over New Zealand and actually lives in it’s capital, Wellington, eight months of the year so he reckons he knows the country and it’s people better than most! When it comes to where to stay you can book into any number of hotels in Dunedin, Christchurch, Wellington or Auckland, but both South and North Island also offer alternatives that are a cut above your average accommodation and can make your stay truly magical. Take, for example, the delightful Huka Lodge, set within 17-acres of magnificent manicured grounds and just ten minutes from Lake Taupo and an hour from geothermal Rotorua. 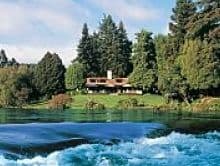 All 25 suites nestle along the banks of the magnificent Waikato River, upstream from the mighty Huka Falls. Within the extensive and beautiful grounds guests have use of a swimming pool, spa, tennis, croquet and pétanque courts, a library, a study and all the amenities you would expect from a world class lodge. On South Island you can really get away from it all in spectacular style with a stay at the magnificent Blanket Bay Lodge. Located between Queenstown and Glenorchy even the likes of Sir Ian McKellen have stayed here, calling it his favourite ‘Alpine Escape’. All rooms within the Lodge are placed to take full advantage of the magnificent lake and mountain vistas. Experience this lodge as part of your tailor-made holiday to New Zealand and you’ll want for nothing; the views are breath-taking and among the best anywhere on North Island. 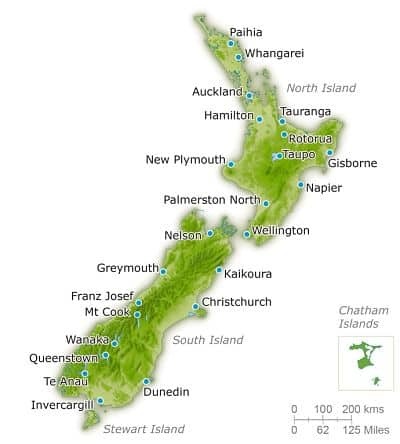 Just remember though how New Zealand is split in two, North & South Island. You can’t possibly do both islands justice in a two to three week holiday but you can see and experience some of the best things the country has to offer with practical travel advice before talking to a travel consultant who will then book your holiday! There are many top-end luxury tour operators in the UK to choose but which one will be right for you? 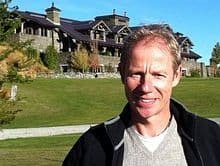 Depending on your interests and budget I would probably recommend a starting budget of GBP5,000 per person for a 2-3 week tailor-made holiday itinerary around New Zealand. 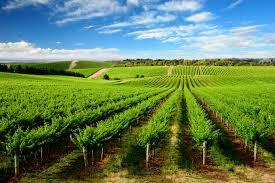 Allow more if you want to fly in premium economy, business or first class. So long as you are not staying in luxury lodges every night, hotels will be approximately GBP200-300 a night. Day to day expenses, souvenirs, internal travel arrangements, car or camper van hire for example, and meals will be extra. If you are after what I call the ‘John Lewis’ of travel and your budget is closer to the GBP3,000 mark, there are also a number of excellent companies we work with that we can recommend. 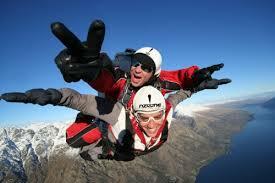 For a backpacking experience, how does the thrill of a bungy jump, paraglide or kite surf in New Zealand sound to you? Do you fancy travelling together with a group of like-minded people around the North or South Island on a hop-on hop-off style bus? These are just some of the many amazing experiences available to those people with generally more time on their hands but less money. 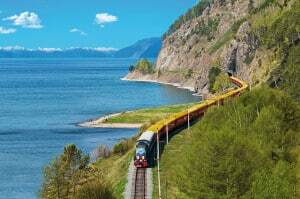 Perhaps you want to combine a gap year travelling with some work experience? We can advise you on what the possibilities are without bombarding you with too much information. World Travel With Bridge offers essential pre-booking travel advice and tour operator recommendations for people planning their holidays to New Zealand. 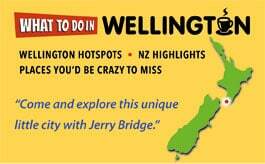 Jerry Bridge is an independent New Zealand holiday travel advisor. With his team of dedicated specialists, he is here to assist you during that sometimes stressful researching stage of booking a holiday.